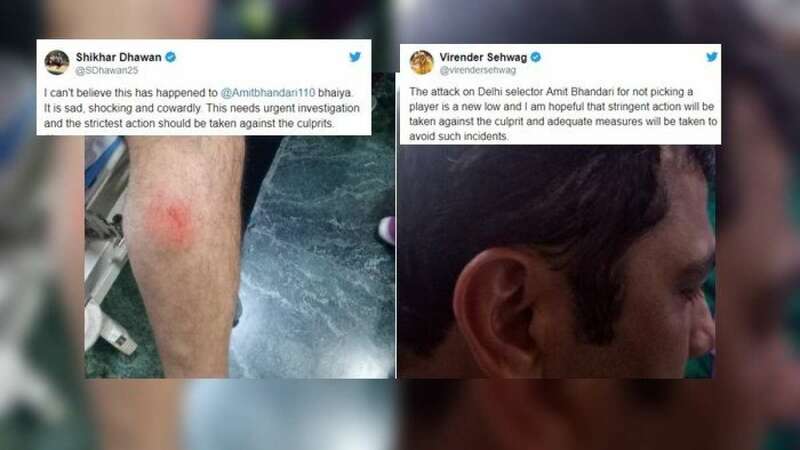 New Delhi : Indian cricketers Gautam Gambhir and Virender Sehwag showed disappointment over the attack on Delhi and Districts Cricket Association (DDCA) selector Amit Bhandari. A group of goons thrashed him during a U23 match at St Stephens College Grounds on Monday. Amit Bhandari received multiple injuries near the head and ear. He was taken to the Sant Paramanand Hospital at Civil Lines by his friend Sukhvinder Singh. Here is how Delhi based cricketers slammed the attack on social media.